A pair of crested screamer birds hatched in early March. A pair of crested screamer birds, both females, hatched in early March. The chicks represent the first offspring between the 15-year-old mother and 23-year-old father. 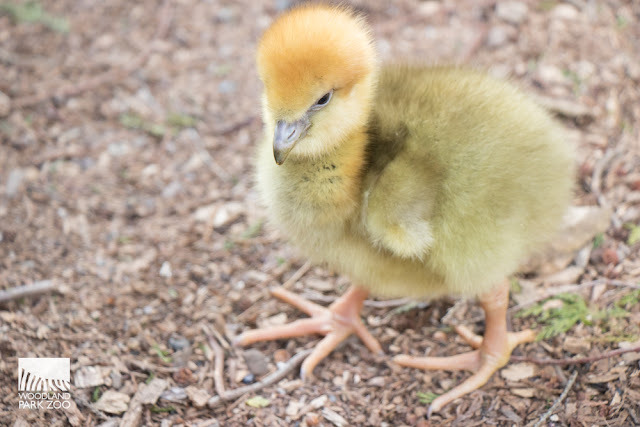 The last successful hatching of this species at the zoo was in 2002. 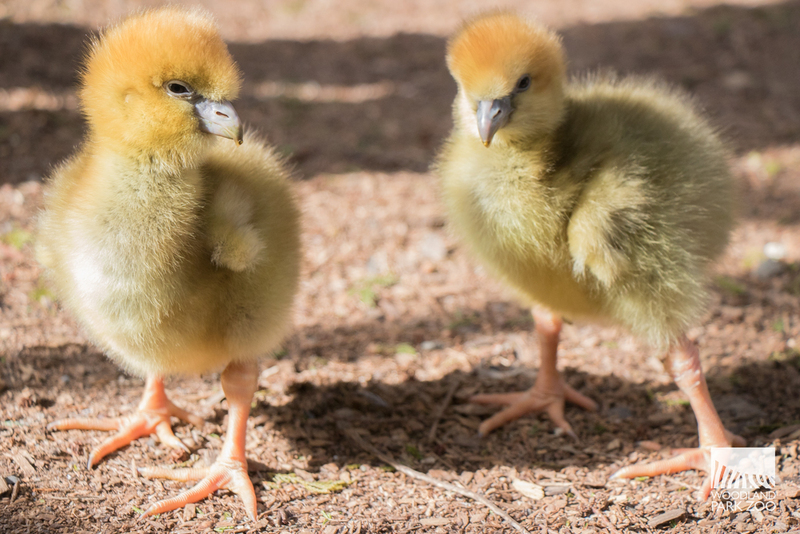 The little chicks are busy stretching their long legs, soaking up the spring sunshine and eating lots of broccoli florets, among other snacks such as a blend of game bird, romaine lettuce and waterfowl pellets. The chicks represent the first offspring between the 15-year-old mother and 23-year-old father. Screamers are aptly named for their loud, distinguished call, making them among the loudest of any bird. Native to Bolivia and southern Brazil to northern Argentina, these large goose-like birds are common in tropical and subtropical wetlands, including marshes, estuaries and lowland lakes. Another distinctive feature is a large, sharp spur on each wing which the birds use to defend themselves against predators. Screamers form monogamous relationships and both adults take part in incubation and caring for the chicks. Although the crested screamer population is not threatened in their home range, screamers and many other species of waterfowl are threatened by habitat loss due to human-imposed activities. Unlike many bird species, screamer parents do not regurgitate food for their chicks. Instead, they lead the chicks to food and drop tasty treats as a lesson on how to peck for food. 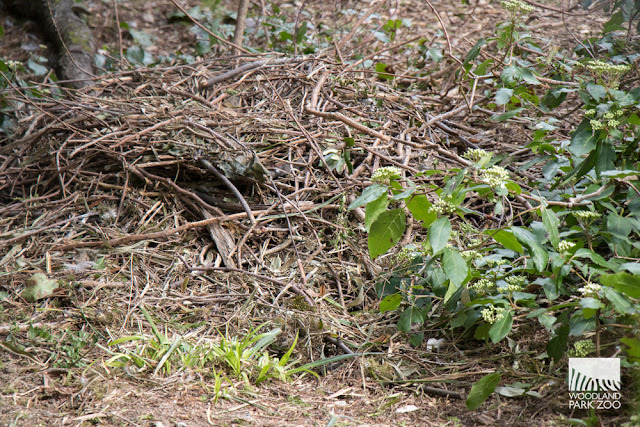 A view of the screamers' nest. 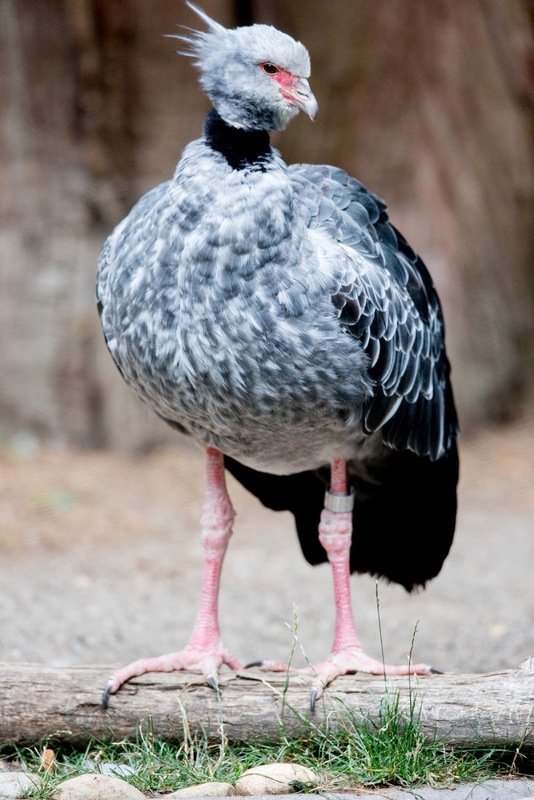 The adults were paired under the Crested Screamer Species Survival Plan, a conservation program coordinated through the Association of Zoos & Aquariums to help ensure a healthy, self-sustaining population in zoos. The crested screamers live in the Temperate Forest, right next to the flamingos. 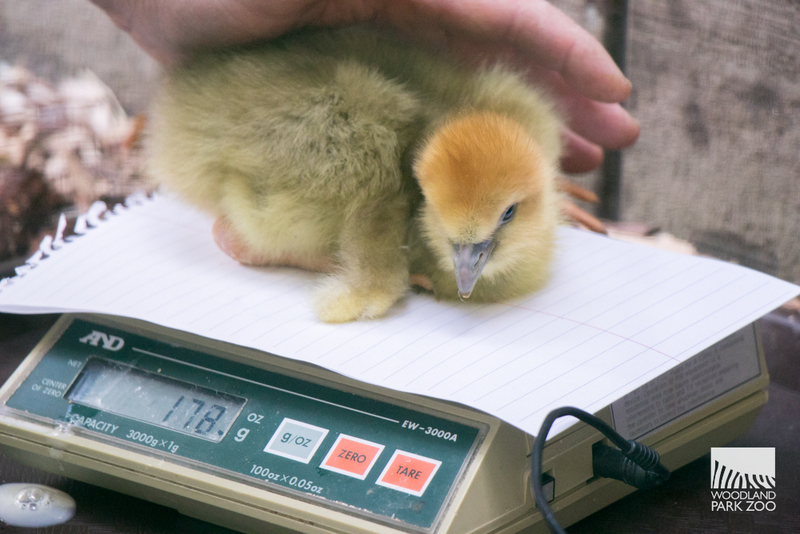 The chicks will remain behind the scenes until they are a little bigger and ready to join their parents in the yard.